The first flight carrying a number of Ukrainians, who managed to survive the latest deadly terrorist attack on a Kabul hotel, arrived at the Kyiv International Airport, TSN reports. The group were met by their families. Obviously stressed out, the survivors provided no comments to the press upon their arrival. It is reported that some of these Ukrainian citizens arrived with no baggage as their belongings vanished in a hotel fire. The rest of Ukrainians released from the Kabul hotel by security forces are expected to arrive later today and on Wednesday, Jan 24. Read alsoPoroshenko says he's "shocked by tragic news from Afghanistan"A total of nineteen Ukrainians have survived the attack. On Wednesday, a special flight will bring to Ukraine the bodies of those killed in the terrorist attack. 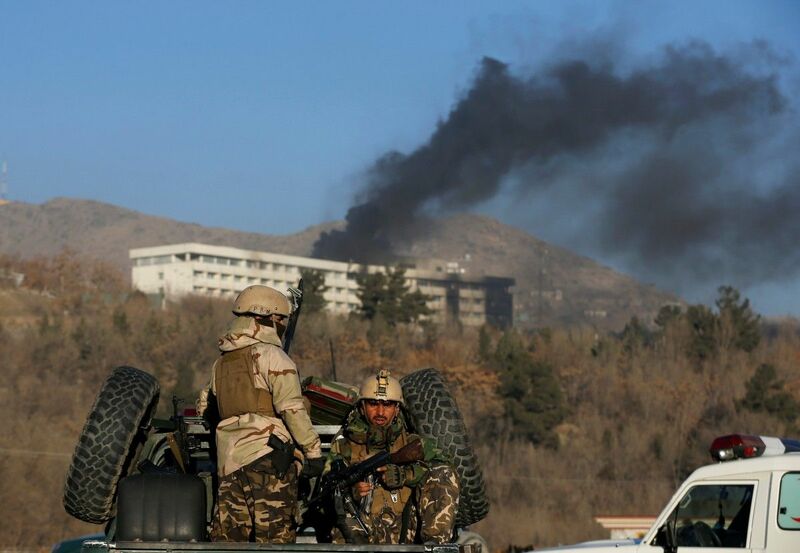 According to one of the versions of the incident, three Taliban terrorists dressed as ordinary visitors came to a hotel restaurant and ordered dinner before opening indiscriminate fire. More than 30 people were killed as a result of the terrorist attack, including seven Ukrainians: four employees of the Kryla Ukrainy airline – a 43-year-old aircraft crew captain Roman Vlasov, a 43-year-old co-pilot Viacheslav Shyshakov, and 30-year-old stewardesses Kateryna Pasenchuk and Iryna Medycheva.